Arguably, one of the best sci-fi movies of all time – at least in my mind – was Star Trek II: Wrath of Kahn. It had a great story-line, great acting, awesome spfx, fantastic music score and a wonderfully well-written (and well paced) follow-up tie-in to a previous story-line from an equally well-written episode of the original TV series. At least for me, by all counts, in every way, it was a great movie… and it was made for (only) $11 million. I think Hollywood could learn a lot from this movie. Especially, when trying to revive the franchise of the original series. In fact, series original George Takei, when viewing the trailer for the newest installment, Star Trek: Beyond said, “It doesn’t have that element that made Star Trek, Gene Roddenberry’s Star Trek, what it was. I didn’t – in the preview – note anything of the substance of what made Gene Roddenberry’s Star Trek so engaging, and it was the commentary on social justice, political reality at the time.” Well said George. He made that statement about the trailer, but the new movie didn’t have those elements either. The question is why? 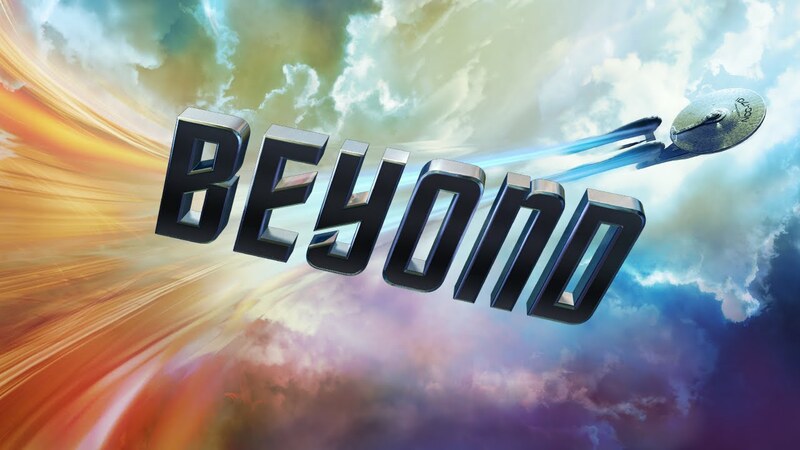 This latest installment, Star Trek: Beyond had a staggering budget of $185 million – which was (believe it or not) actually $5 million less than that of Star Trek: Into Darkness (which, while having somewhat better writing, still paled in comparison to Wrath of Kahn, which was made for $179 million less). And the movie before that, the one that rebooted the franchise under the helm of J.J. Abrams, cost $150 million. I always get so excited when I hear about a new Star Wars or Star Trek movie – so much so that in a mad dash to go see Into Darkness opening night (2013), I ran down the stairs, missed the last one and busted my foot! But when I go see them, I am usually sorely disappointed – and in that particular case, in more ways than one. However, to be fair, I will say the first one had a really compelling story, which hit a “reset button” through an alternate timeline in a very reasonable way (for Star Trek sci-fi) and I confess, I did enjoy it – even though it wasn’t the Roddenberry Star Trek we’ve all grown used to. And I think my primary frustration with Into Darkness may have been in the fact that Benedict Cumberbatch (as great of an actor as he is) was no Ricardo Montalban, who – as Kahn – I felt was one of the best movie bad guys of all time. So, in that regard, I suppose I probably would not have been satisfied with any choice of actor given the subject matter. I guess that’s always the problem (for die-hard fans) with any attempt at a re-make – even one as creative as this one was. The new spin on that story was rather intriguing too, but still… there’s a totally different feel to these movies that just doesn’t “click” for me. And the same is true for more and more “big budget” movies these days. OK. We enjoyed Alias. Fringe was an awesome way to fill the void left when X-Files ended. And we really loved Lost – well, at least up until the last season anyway. Why? Because these shows contained good, compelling stories. We loved the characters. We enjoyed the mystery. The writing kept us intrigued and wanting more. Even Almost Human had an enjoyable, albeit short-lived run. And Person of Interest has continued to keep us interested too. There have been a number of good movies under your charge too. So, why is it then, that when given the controls of two of the best sci-fi franchises ever (Star Wars and Star Trek), you are failing so miserably – at least in the minds of many of the die-hard fans? Personally, I think it’s because you have been given too much money to play around with. 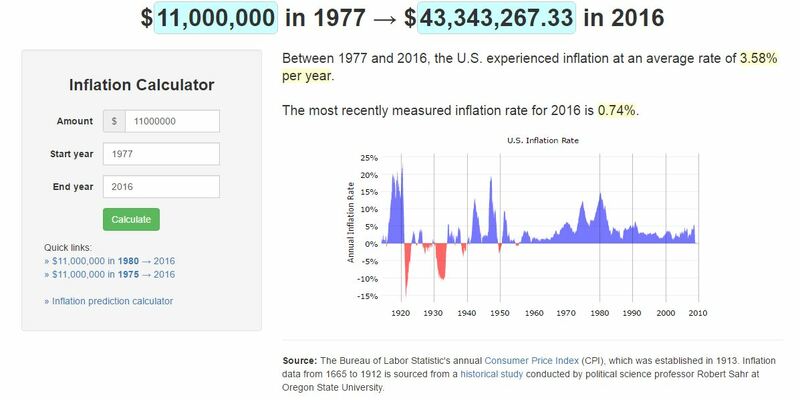 I mean, Star Wars: The Force Awakens was made for a freaking mind-numbing $245 million for crying out loud (which many of us did after watching it)! You had soooooo much potential and yet, with a quarter of a BILLION dollars (and the writer of Empire Strikes Back no less) at your disposal, you blew it. And trust me, it pains me to say that, because I really do love you man. Seriously. What’s perhaps the most disappointing is that you are a sci-fi (Star Wars) geek yourself. But I do understand the enormous pressure you must have felt being the guy everyone was going to look at (and criticize) with so much expectation when dealing with such a beloved memory from our collective childhoods. I guess I’m wondering why couldn’t you have treated these huge projects with the same respect you gave to Super 8, which so well captured the nostalgia we all share when looking back at the “classic” films of our youth? I think I know the answer. With Super 8, you only had $50 million at your disposal. Thus, you were far more creative. You took the time with the story instead of the special effects. Even though George Lucas forgot this himself (with the prequels), he once said, “A special effect without a story is a pretty boring thing.” He was absolutely right and should have listened to his former self, the man who made the original Star Wars with just $11 million and literally revolutionized science fiction movies (and how they are made) from that moment forward, capturing the imagination of countless young minds all over the world. The early 80s brought us Empire Strikes Back (1980 – $18 million), Raiders of the Lost Ark (1981 – $18 million), and Star Trek II: Wrath of Kahn (1982 – $11 million). Using the same calculator above, all of these awesome, imaginative and visually engaging movies were each made for about $50 million or less in modern dollars (Note: all of the budgets I’m referencing were taken from imdbpro.com). Therefore, I suggest modern and future film-makers need to take a cue from those of the past. In fact, I need to keep this in mind myself, with SEED. Granted, these other films didn’t rely on huge numbers of artists and visual effects technicians to create CGI intensive shots, which seem to dominate the total running time of these newer movies. But maybe that’s the point. There’s only so much we can process. And when you fill nearly every shot with CGI stuff coming at you (or the characters), combined with shaky camera movement and 1 – 2 second shots all the time, it can lead to sensory overload. Perhaps if there was more breathing time between these shots it would have a much better impact on the audience. When you look at Empire and Wrath of Kahn for instance, we had plenty of slower paced, longer lasting shots where we were just staring at one or two – or a few of the main characters, who through their interaction, the story was being carried forward. Then, POW! We’re in an asteroid belt, watching the Falcon being chased by tie-fighters. Cool! Or in Wrath of Kahn, we have the quite tension of the two ships trying to find each other in the nebula, then suddenly, the Reliant appears on the Enterprise’s static-filled main view screen right in front of them. “Raise her starboard!” Zap, zap, zap, boom, bang, pow! Great tension. Explosive interaction. Rest. Then as the story progresses, things get more and more intense, building to a climax. But we always had “breathing room.” These newer movies seem to have so much intensity popping up every 10 minutes, with a bazillion CGI bad guys coming at you, that we barely have a chance to catch our breath, and more importantly care about anyone or anything that is happening in a story with such a shallow plot. By the time we get to what should be the climax, we’ve already had 10 climaxes previously, that the “how are they going to get out of this one” conclusion of your typical Act 2 is just more of the same, which means the Act 3 resolution doesn’t have the same satisfaction as the “Yahoooo! You’re all clear kid, now let’s blow this thing and go home,” rescue of Luke in the Death Star trench had. More is not always better. 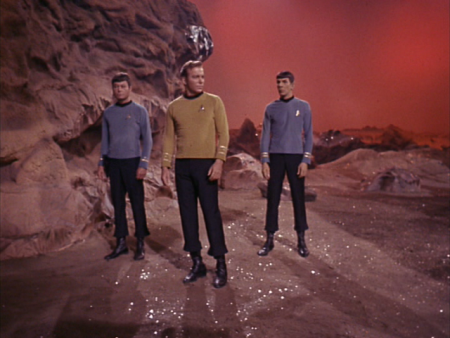 The episodes of the original Star Trek series, created by Gene Roddenberry were said to have been produced for what would essentially amount to the catering budget of most shows on the air today. As a result, lacking the budget for flashy special effects, they were forced to focus on the story and character development. Thus, we gave the cheesy costumes and nearly non-existent, mono-chromatic backdrops and crumpled up paper rocks and cliffs a pass. We fell in love with the characters. We were engaged by the stories. We even tuned in every week to see more and were sad when the series came to an end. In fact, when they heard the show was going to be cancelled after just 2 seasons, for the first time in history, the fans lobbied and protested to keep Star Trek on the air. When the network decided to keep it going for at least one more season, they cut the already meager budget even more and yet we still got stories that were very enjoyable in what would be the series’ final season. When I go to the new Star Trek and Star Wars movies however, I feel like my eyes are being assaulted with non-stop, shaky camera shots that last all of one second each, lens flares, CGI and stuff constantly flying at me or blowing up every 10 minutes for 2 hours. Honestly, it’s just plain boring. And I’ve not been given enough information to really care about what’s being blown up either. Nor do I particularly care about the characters, because even though we know their backstory from the original series, we haven’t been given much time to let the new actors settle into those roles. Regarding the new Star Trek actors, I will say that I think they’ve been well cast and they are all suitably gifted enough in their own ways. They are certainly likable, but they are filling big shoes. Thus, they need time to grow into those shoes, rather than just being new props to replace the old ones. Some of my favorite moments in these new movies are the times when the characters are allowed to give a nod to what we remember from the old, while displaying some fresh charm through a newer dynamic. And when those scenes happen, the actors really do shine and a smile comes to my face. 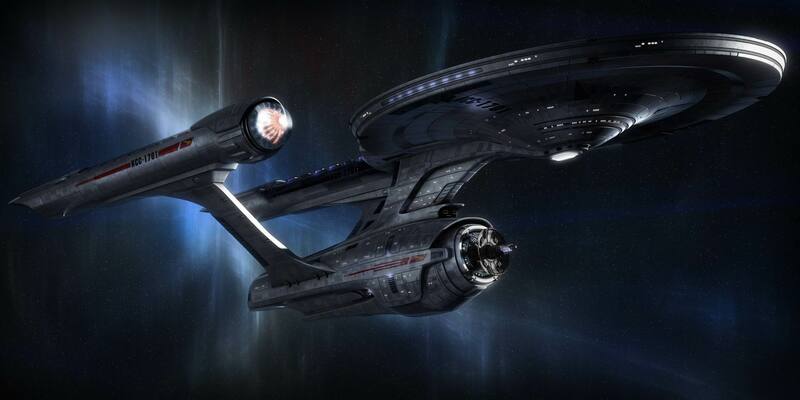 Even the new Enterprise design needs some “space” to grow to our liking. 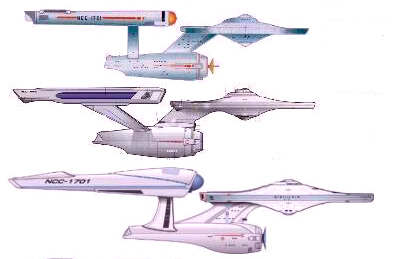 In fact, I remember the first time I saw Star Trek the Motion Picture, I actually hated the redesigned starship “refit.” I suppose I tend to be resistant to change, but they gave us plenty of time (some may suggest perhaps too much time) to appreciate it. Soon, I grew to absolutely love it. So much so, that – admitting how much of a true sci-fi geek I am – seeing it blow up in Star Trek III actually brought a tear to me eye. I felt nearly the same loss as I did when in the previous movie, we saw Spock die. In Star Trek II, it was like we – along with Kirk – lost a dear friend. Then, in Star Trek III, we got him back… but then lost another one – a ship that we had likewise grown to love as a friend. Why? Because she was as much a part of our emotional attachment to the series as the people were. But in these new movies, as the Enterprise gets shredded (again), I find myself actually thinking, “Good. Didn’t much care for it anyway.” Whereas, in Wrath of Kahn, it was like we felt our own sides being ripped apart as the Reliant blasted that gash in the Enterprise’s side. But in this new movie as she is literally, viciously torn apart until she slowly dies a horrific, dismembered death… no one cares. And when we see the new one being built, there is no excitement for us. Actually, to be honest, I was hoping the new one would have changed to incorporate better features. I really want to like the new design, but I just can’t stand the inward-bent, narrow supports for the enlarged warp drive nacelles – but that’s just me. And for the love of all that is military (and traditional sci-fi for that matter), quit making the bridge look like an Apple computer store! I get that it’s supposed to be our future, but everything just looks way too sterile and fragile (mostly glass) to be believable for the command deck of what is effectively a spaceship version of an aircraft carrier or battleship. Maybe I’m just being too nit-picky. Admittedly, I’m a “PC guy” and can’t stand MACs, but from a practical, military perspective, it just doesn’t “feel” right. When in Star Trek Beyond, the crew got on board the “old school” bridge of the NX class starship (Franklin), it felt more like “home” in the Star Trek universe. At any rate, all of this goes back to the point that cool special effects, explosions, shaky cameras, lens flares, glass screens, Apple MAC store appeal and 1 second cuts in intense scenes every 10 minutes do not allow us to be invested enough in anything to really care what happens next and to whom or what. It’s not the way to go if you want to keep us old-school fans engaged – at least in my sci-fi nerd opinion anyway. Thus, my challenge to you Mr. Abrams (and company) is to limit your budget on future movies to at least half of what you’ve been using lately. Challenge yourself to do what Gene Roddenberry and George Lucas did on very limited budgets. Put yourself into a position to be forced into spending more time and energy on story and character development than on CGI and intense action sequences. We know you can do it. You’ve done it before and I still have faith that you can do it again. This kind of in site is why SEED will be AWESOME! ! ! !